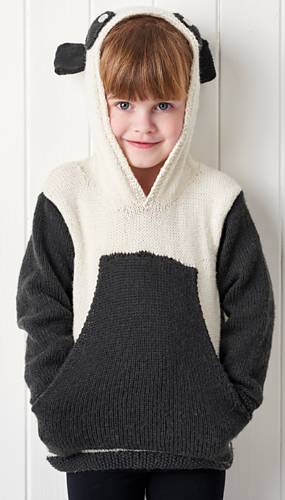 We’re always looking for ways to deliver exciting knits for children and we think we may have hit the jackpot this month! 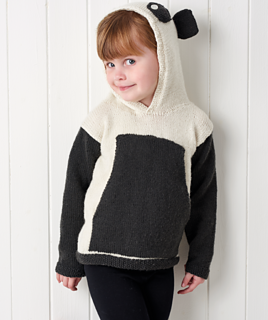 There’s an abundance of techniques used in Jane Burns’ cute panda pullover, from the huge pocket at the front, the picked up and knitted hood to the sweet appliqué eyes. 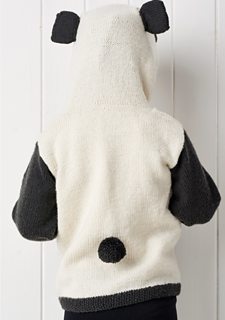 Not to mention the sewn-on ears and fluffy pompom tail. 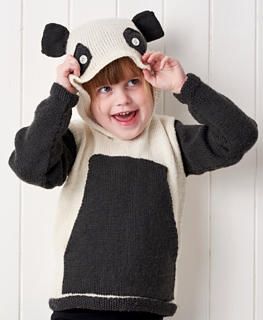 But don’t worry, we promise it won’t be panda-monium to knit – you’ll love it!